Due to the complexity, nonlinearity and uncertainty of ecological problems, simple mathematical models or equations are far not enough to address them. As the advance of ecology and computational science, intensive computation is playing an increasingly important role in ecological studies. Various theories and methods based on intensive computation, like artificial neural networks, agent-based modeling, systems simulation, numerical approximation, etc., are increasingly used in ecology. As a result, an ecological discipline, computational ecology, is formally defined (Zhang WJ. Computational Ecology: Artificial Neural Networks and Their Applications. World Scientific, Singapore, 2010) to integrate and synthesize computation intensive areas in ecology. Computation intensive methods, numerical and optimization methods, differential and difference equation modeling and simulation, prediction, recognition, classification, statistical computation (Bayesian computing, randomization, bootstrapping, Monte Carlo techniques, stochastic process, etc. ), agent-based modeling, individual-based modeling, artificial neural networks, knowledge based systems, machine learning, genetic algorithms, data exploration, network analysis and computation, databases, ecological modeling and computation using Geographical Information Systems, satellite imagery, and other computation intensive theories and methods. Artificial ecosystems, artificial life, complexity of ecosystems and virtual reality. The development, evaluation and validation of software and algorithms for computational ecology. The development and evaluation of apparatus, instruments and machines for ecological and environmental analysis, investigation and monitoring based on the software of computational ecology. Ecology is the main body of computational ecology. Various sciences are involved in computational ecology, for example, computational mathematics (numerical methods, et al. ), artificial intelligence (artificial neural networks, machine learning, etc. ), computer science (algorithm design, software development, etc. ), probability theory, statistics, optimization theory, combinatorics, differential equations, functional analysis, algebraic topology, differential geometry, etc. Big data analytics of ecological and environmental data. International Society of Computational Ecology (ISCE) is a non-government and non-profit scientific society. The ISCE devotes to promote the advancement of computational ecology. The ISCE always sponsors conferences and releases publications such as Computational Ecology and Software. Qualified ecologists, environmental scientists, mathematicians and computational scientists in the world can apply for the membership of the ISCE. A nominal fee is charged for the membership of the ISCE. 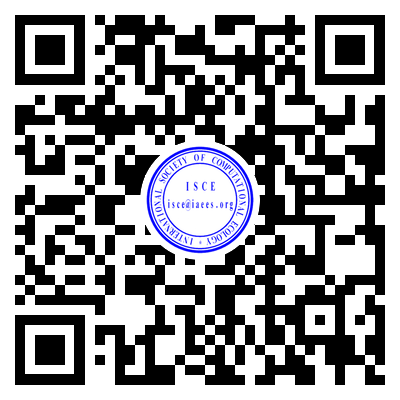 The ISCE conferences are sponsored and organized by universities and institutes. They are also responsible for the review process of the papers as well as for the final technical program. The ISCE releases and distributes publications in particular online journals. The publications are peer-reviewed by experienced scientists worldwide to guarantee high-quality. Every three or five years, the ISCE and ISNB jointly issue an international award to several excellent computational ecologist(s) and/or network biologist(s) around the world.